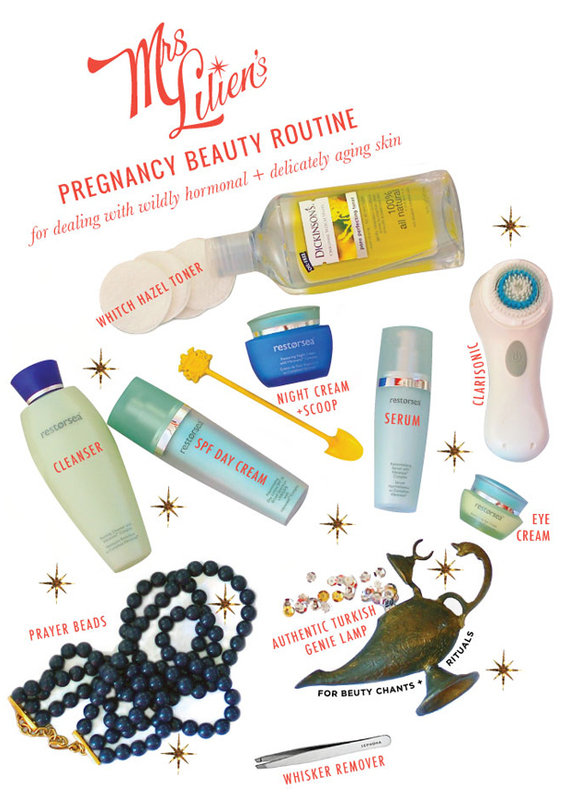 In today's post on Mrs. Lilien, Kelley writes about pregnancy skin stories, and how Restorsea's Restoring Night Cream, Reviving Cleanser, Rejuvenating Day Lotion SPF 30 and Renormalizing Serum helped her find her own glow. In her words: "Remember now, I'm 33, and anti-aging skin is a top priority - so an all natural approach to maintaining my suppleness had to be preformed cautiously. I found my solution in a line called Restorsea - it's 100% all natural anti-aging, luckily for me! So I combined a few of my own skin saving tacticle efforts - when dealing with a warzone you've got to take all precautions + exhuast all measures." Congrats Kelley, and thanks for the love! Read more here.